Distributor: INVACARE / E & J The INVACARE 9000SL low-maintenance wheelchair has full complementary options and accessories. Weight Capacity: 250 lbs. 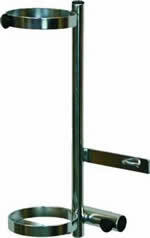 Distributor: MEDLINE /INVACARE / DALTON Aluminum hand rim made to resist rusting, chipping and peeling. Cast aluminum cradles are used instead of plastic cradles to increase durability Weight Capacity: 300 lbs. Distributor: INVACARE/ DALTON / MEDLINE Durable low maintenance carbon reclining steel frame, flame retardant, bacteria resistant upholstery. Weight Capacity: 250 lbs. Distributor: INVACARE The 9000XT Recliner can be configured to an endless number of seat widths, depths, and heights. Weight Capacity: 250 lbs. 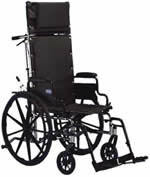 Distributor: INVACARE/ TELEMADE The Freedom Series—Companion has reinforced chrome-plated coated steel frame with 8” caster wheels Weight Capacity: 250 lbs. Receive notifications and up-to-date information regarding our services directly to your email.